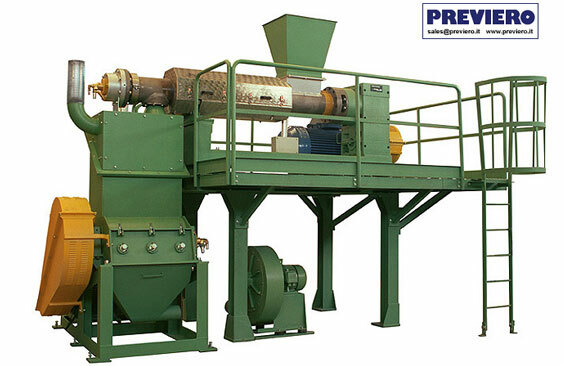 Is a series of continuous agglomerators designed to densify a wide range of plastic materials such as films, monofilaments, fibers, nonwoven fabrics. The special design of the screw and of the cylinder generates a high compression of the material which densifies thanks to the generated heat. Compact design, wide flexibility of use, minimum maintenance requirements, easy integration in automatized and continuous plants. Compared with the other existing systems, the low rotation speed ensures minimum thermal stresses of the material. The electric resistances compensate the supply of heat requested when the flow or the features of the fed material varies. It eliminates the residual humudity in the material and it allows to reach excellent apparent densities of the densified material. 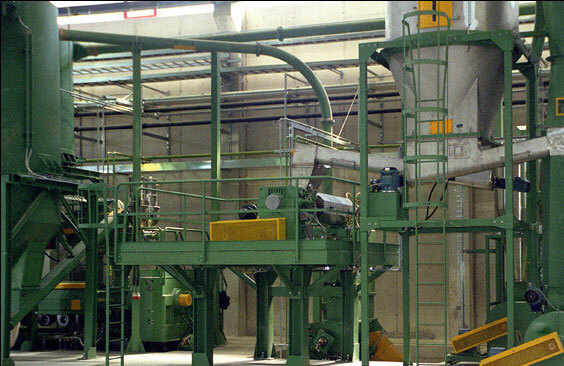 In the recycling plants for films, it solves the problem of drying and storage. 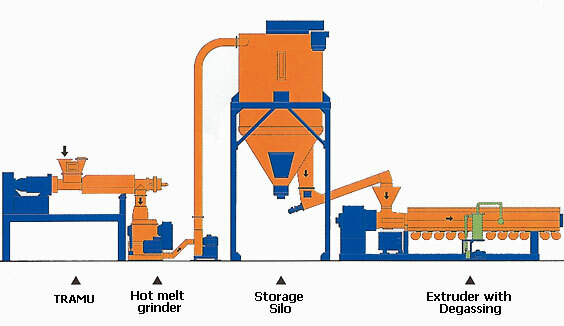 can be stored and honogenized in big quantities in traditional mixing silos. 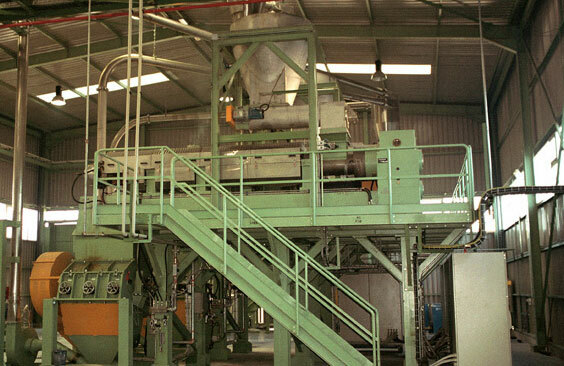 can be easily fed to the extrudes with improvement of the production and of the quality. can be transported, siloed, packed as any other plastic ground material. The material is fed by gravity without forced feeding. 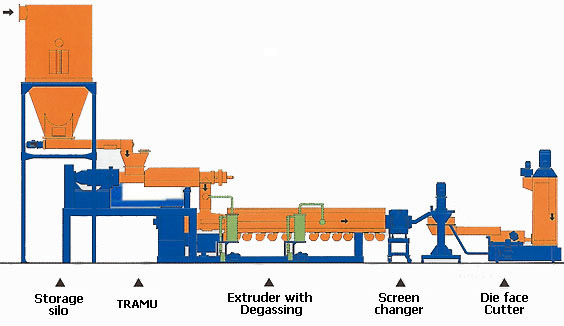 The transversal discharge conveys the melt material in the extruder feeding opening. The degassing group eliminates the humidity and the gases developed while agglomerating voluminous materials. The additional degassing improves the quality with printed and wet materials. Degrassing guarantees a high quality of the final product during the most critical operating conditions, with very thin humid printed and/or heterogenous films. The production capacity is from 500 to 1200 kg/h according to the type of material and the percentage of humidity. It can be combined with the SOREMA extruder type ETR 130. 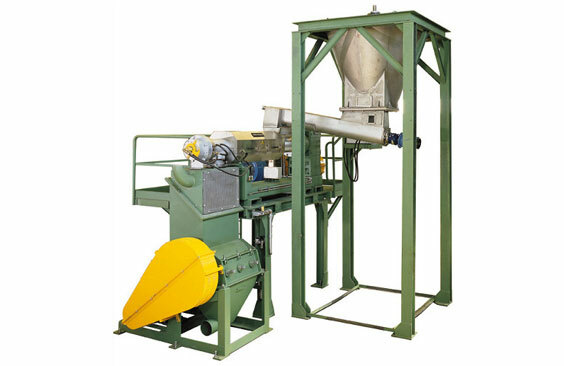 It is used in plants with production capacity from 750 to 1500 kg/h according to the material and the residual humidity.It can be combined with the SOREMA extruder type ETR 160. It is suitable for high capacity agglomeration plants. As with the other models, the production capacity varies from 1500 to 3000 Kg/h, depending on material and humidity.